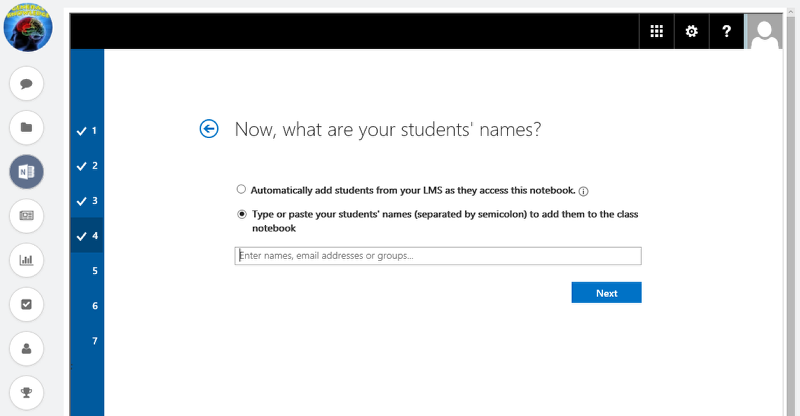 Being an instructor, you can enable/disable OneNote integration for any of your classroom. Note: In case you don't see Enable OneNote link in the drop down menu as shown in subsequent steps, then there is a possibility that you don't have the required instructor role permissions. So, we'd recommend you to get in touch with your school administrator or write to us at support@theteamie.com for further assistance. 1. On the homepage, click the required classroom to access that classroom. 2. 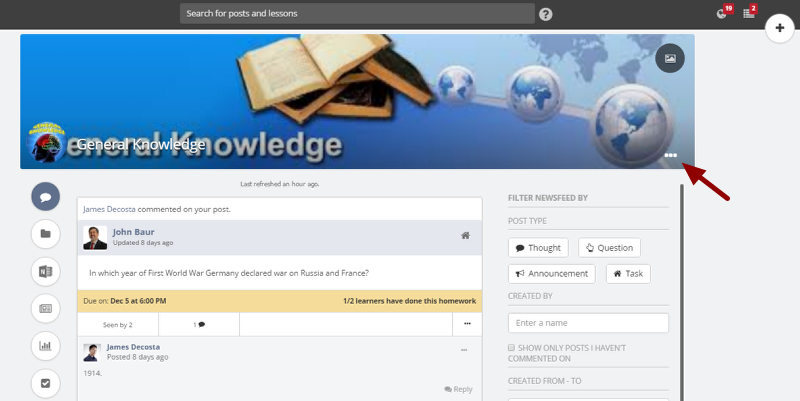 Click on the ellipsis (...) shown in the classroom cover image section. 3. From the resulting drop-down, select Enable OneNote tab. 4. Clicking on the link enables the OneNote tab for the current classroom and shows a success message OneNote enabled successfully for this classroom. Tip: In case you wish to enable OneNote for multiple classrooms, you can ask your school administrator for further assistance. School administrator can enable OneNote for classrooms in bulk. You can choose to disable OneNote integration from any of your classroom anytime. Once disabled, OneNote tab will no longer be visible within classrooms. 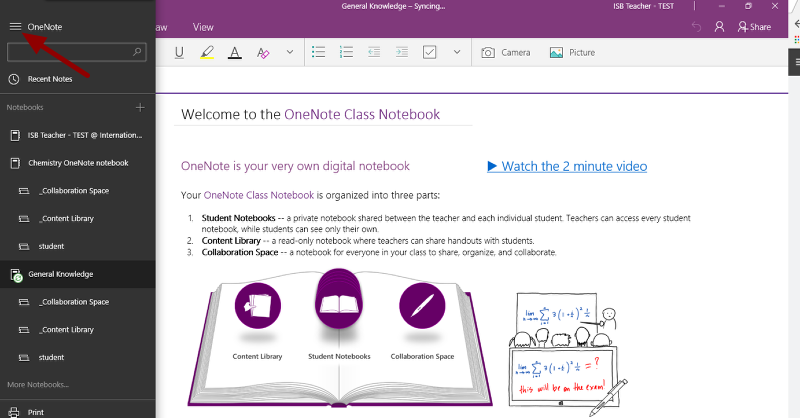 The already created notebooks will continue to exist on OneNote. This action will not delete any notebooks. 3. From the resulting drop-down, select Disable OneNote tab. 4. Clicking on the link disables the OneNote tab for the current classroom and shows a success message OneNote disabled successfully for this classroom. 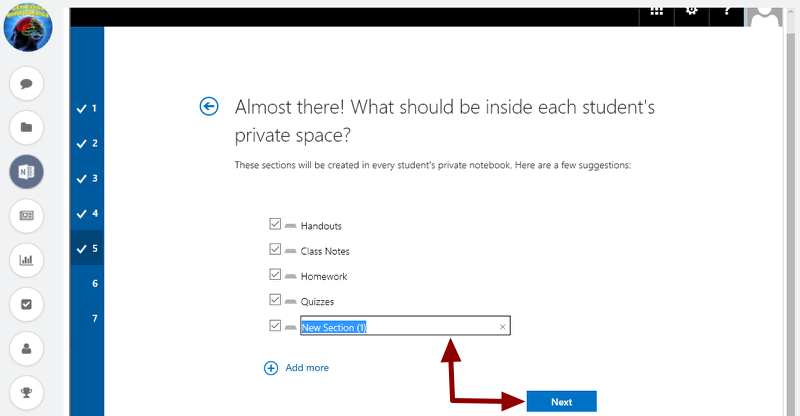 If you have edit access to the classroom, you can also enable OneNote integration from the Edit Classroom page. Let's see how. 1. Access the required classroom. 4. 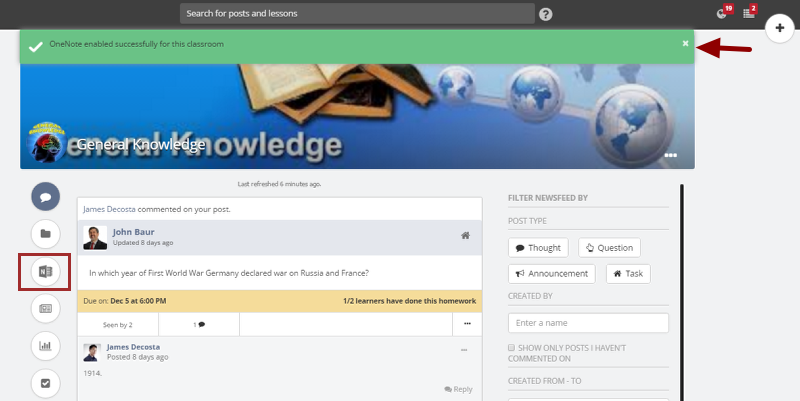 Edit Classroom page opens in a full screen popup. 5. Scroll to the bottom of the page. Tick the Enable OneNote LTI integration check box. 7. 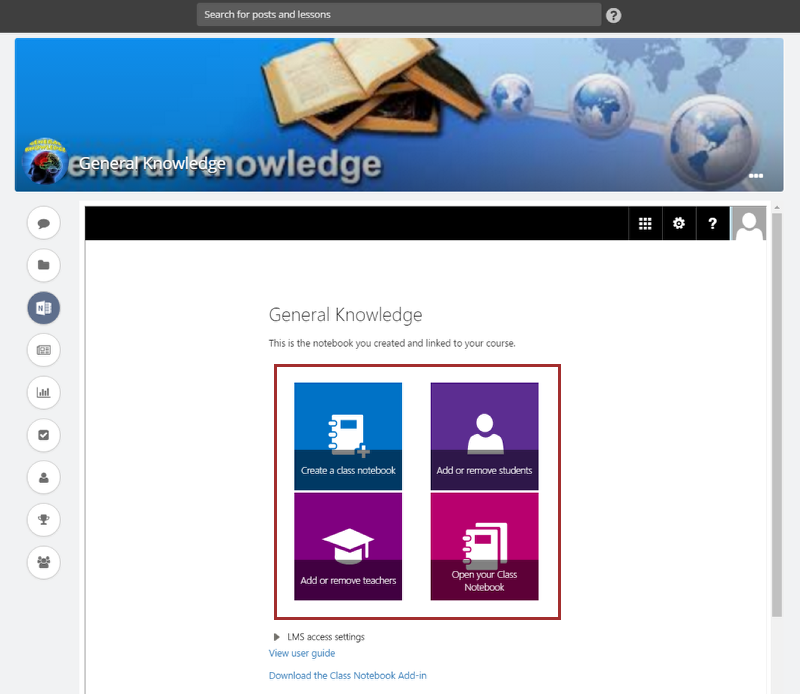 When changes are saved, you will see a success message Classroom General Knowledge has been updated. OneNote integration will be enabled in the classroom. Enjoy the collaborative e-learning. 1. 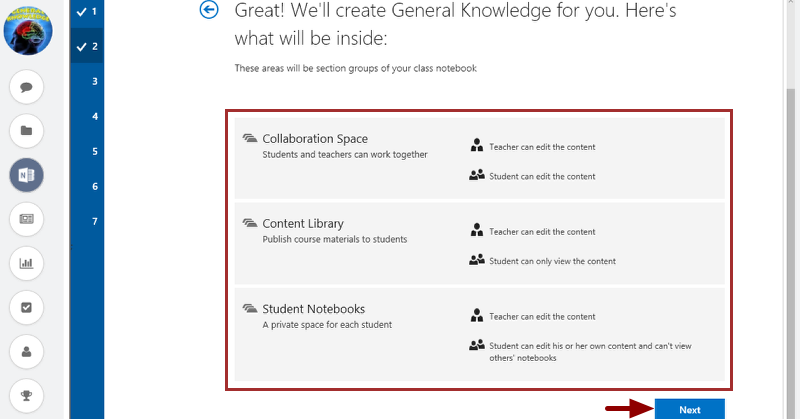 Enable OneNote in the required classroom. 2. 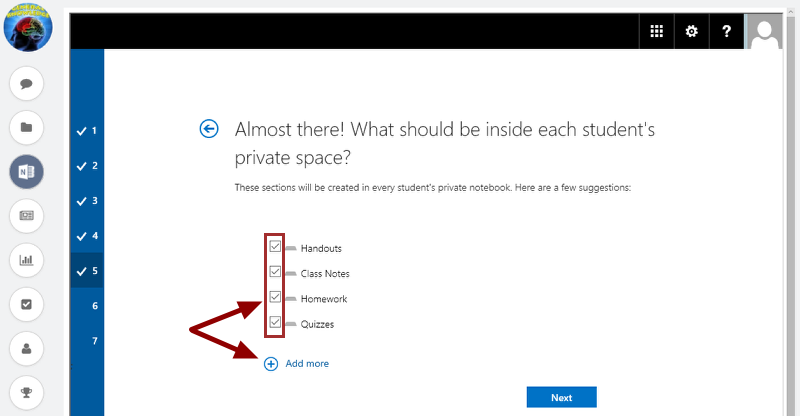 On the classroom landing page, click OneNote tab. 3. A sign in screen to OneNote will be shown if you are not logged in to OneNote. 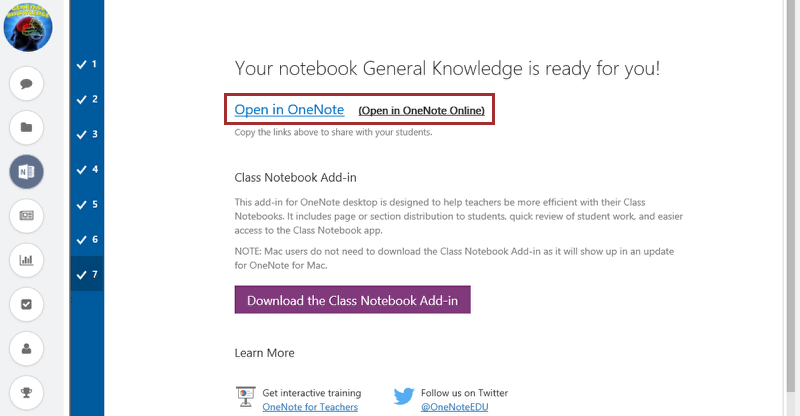 You can easily login to OneNote from your classroom itself. 4. When signed in to OneNote, you will see the OneNote notebook. 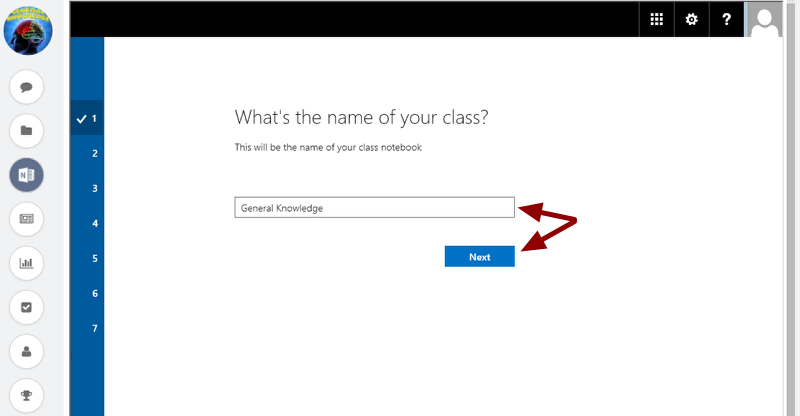 Enter the name of your OneNote notebook. By default, the name for the notebook would be the name of the classroom on Teamie. Then click Next. 5. 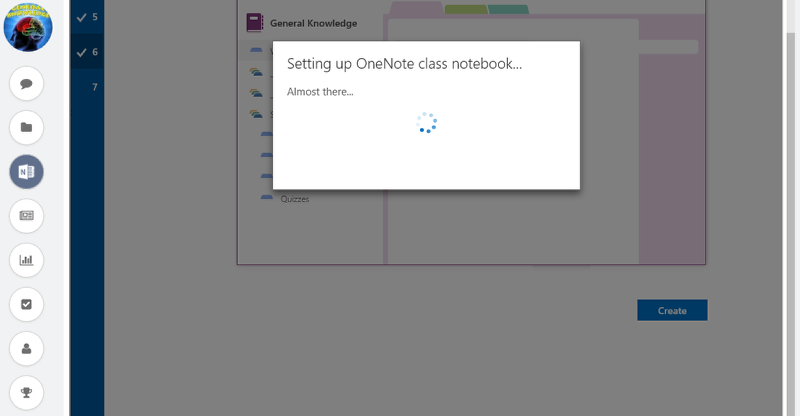 On the next page, you will be able to see the OneNote notebook overview. Click Next after you are done reading it. 6. On the next page, you will be able to add another instructor to your notebook by typing or pasting their names. However, it is an optional feature. Click Next to proceed. 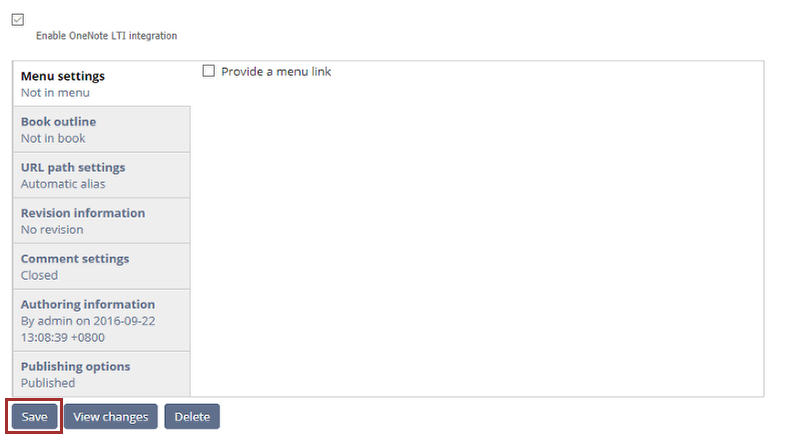 Note: You can add multiple instructors at once by typing or pasting their names in the box (separated by semicolons). 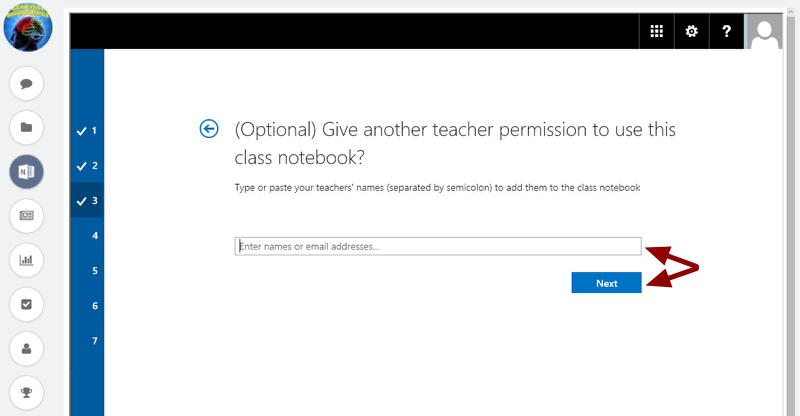 In this case when a learner accesses the OneNote tab from his/her classroom, they will automatically get permission to use this notebook. 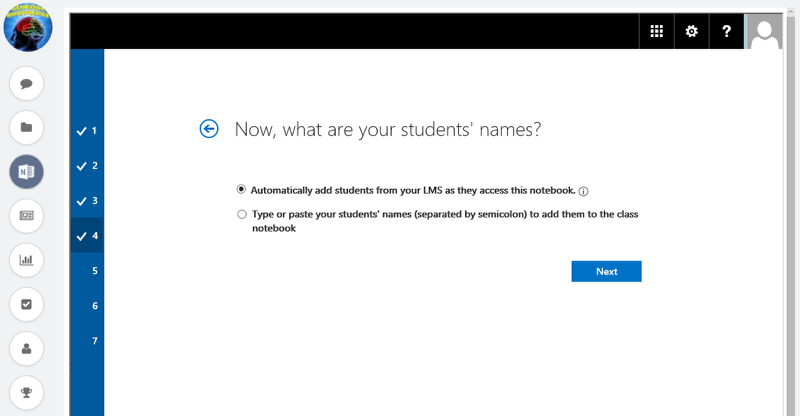 Only learners who are added to the OneNote notebook will have access to the notebook. You can do this by typing or pasting their names or emails in the box (separated by semicolon). 8. On the next page, you can design learners notebook. You can show the default sections (Handouts, Class Notes, Homework and Quizzzes) for learners by ticking/unticking them from the list. 9. You can also create and name new sections for learners as per your requirement. 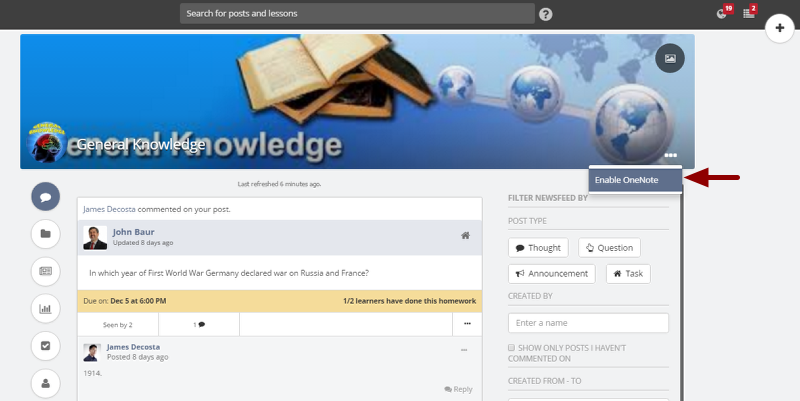 These sections are the area in which learners can add pages and notes.Click + Add more to add new sections. Then click Next. 10. You can preview your notebook by default. To preview learner's notebook click on the Student's notebook tab. 11. Once you are satisfied how the notebook will look, click Create. 12. The OneNote setting up process starts. Don't worry, it will be quick! 13. You will be able to access OneNote notebook in two ways; from the OneNote desktop app and OneNote Online. 15. 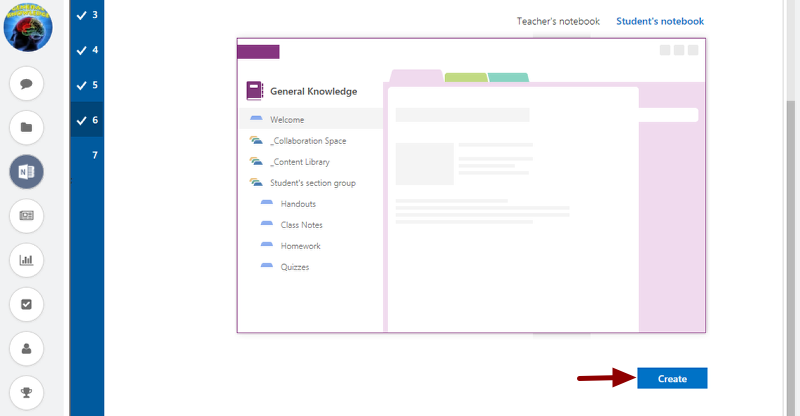 Opening the notebook will open the OneNote notebook in a new tab and you can manage the notebook from the OneNote sidebar. You need to login to OneNote to create and manage your OneNote notebooks. Let's see how. 1. 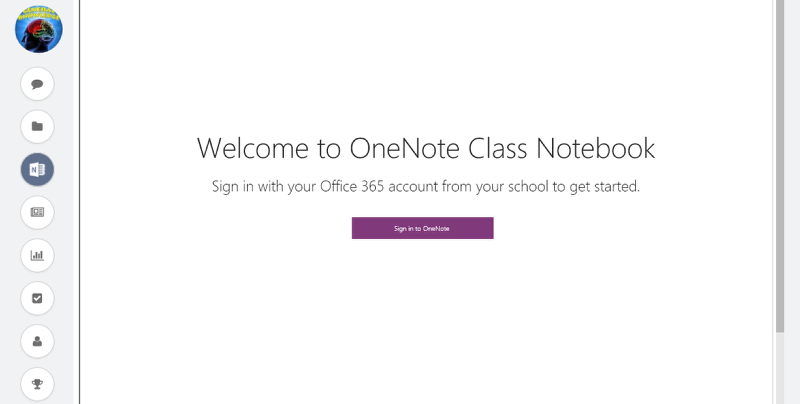 After you click the OneNote tab in your classroom, you will be prompted to sign in to OneNote. Click Sign in to OneNote. 2. A pop-up opens with the Office 365 sign in page. Enter your login credentials. 4. After successful login, the pop-up gets dismissed and you will be taken to the relevant OneNote page, depending on your workflow. 5. 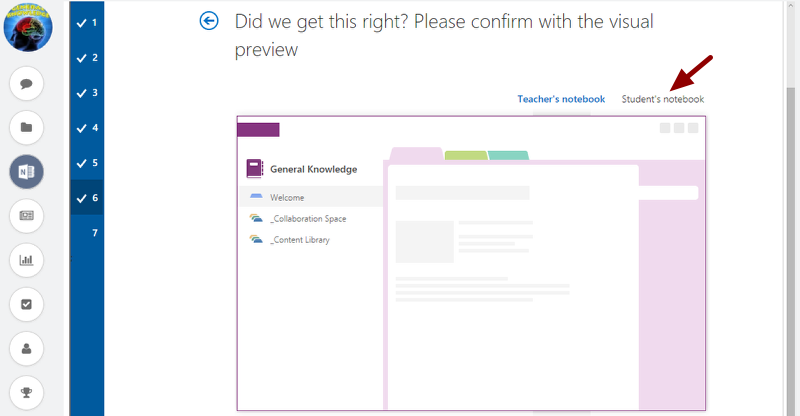 If you were creating a OneNote notebook, then you will taken to the notebook creation page.